My older sister happens to be one of those fennel haters. She steers clear of Italian sausage and sniff tests her pizza, wary of that notorious licorice flavor. But the dried little seed used in sausages and sauces tastes completely different than the rest of the plant, and today’s recipe proves it. Braising the stalks and bulb with onions and Mama Jess Garden Good sauce brings out fennel’s sweetness. And browning the fennel and onion first helps to develop the richness that makes braised dishes so comforting. A little lemon zest and thyme keep the dish light and fresh. While I still love braised meats in the winter months, this dish was a lovely and lighter alternative. And it only takes about 30 minutes to prepare! 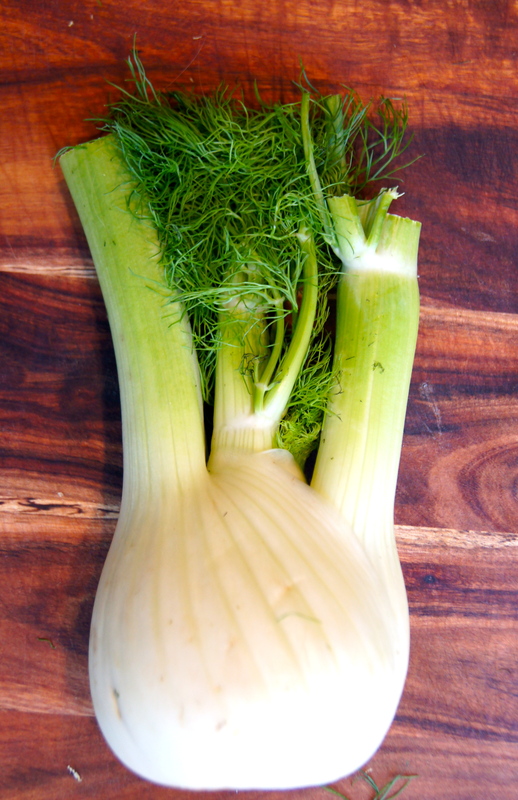 Fennel is ancient and was used for medicinal and culinary purposes by the Romans and even appears in Greek mythology! in a large, heavy-bottom pot heat olive oil over medium-high heat. add onion wedges and fennel wedges in a single layer and cook for 3 minutes on each side or until brown. remove from pan and set aside, repeating the process as necessary and never over-crowding the pan. 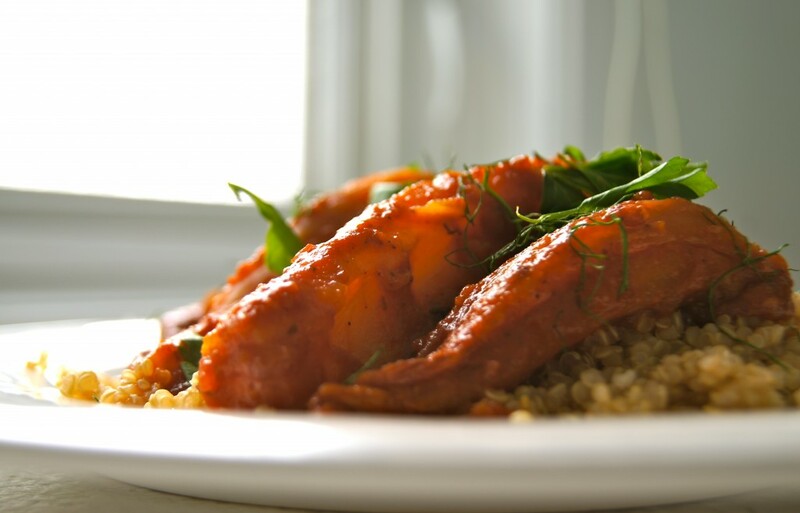 when fennel and onion wedges are removed, add chopped fennel stalks and cook for 3-5 minutes or until tender. add garlic and thyme and stir, cooking for and additional 2 minutes. add fennel and onion wedges back to the pan and season with salt and pepper. stir in Mama Jess Garden Good sauce and cover, simmering over medium-low heat for 15 minutes or until fennel and onion wedges are fork tender. just before serving stir in lemon zest and capers. top with minced fennel fronds! browning the fennel and onion wedges first gives this dish a great meat-like richness. 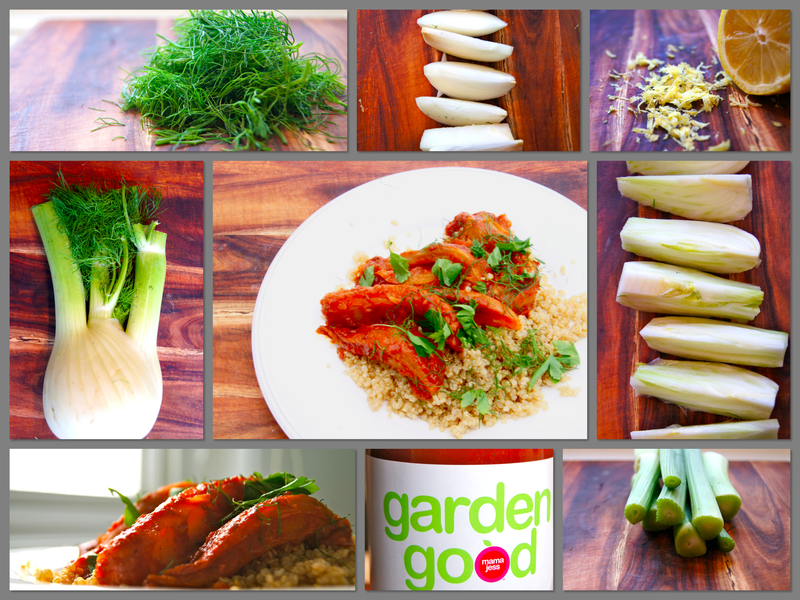 braising the fennel bulb and stalks in the veggie-packed Garden Good sauce brings out fennel’s sweetness, and the fronds brighten up the dish when sprinkled on top. 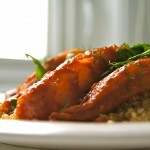 enjoy this as a main dish served with quinoa (like we did) or as a side dish to roasted chicken or fish.